Trump's trip to Brussels, Belgium would be his first overseas visit after he was sworn in as the 45th President of the United States on January 20. 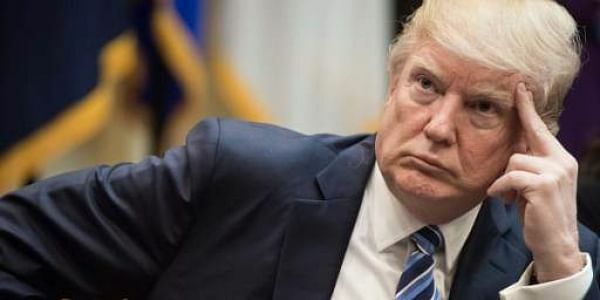 WASHINGTON: US President Donald Trump will visit Brussels on May 25 on his first foreign trip to attend a meeting with leaders from countries of the North Atlantic Treaty Organisation (NATO), which he had dubbed as "obsolete". "The President looks forward to meeting with his NATO counterparts to reaffirm our strong commitment to NATO, and to discuss issues critical to the alliance, especially allied responsibility-sharing and NATO’s role in the fight against terrorism," the White House said in a statement. Trump's trip to Brussels, Belgium for the NATO Summit would be his first overseas visit after he was sworn in as the 45th President of the United States on January 20. During his election campaign, Trump had asserted that the NATO allies must pay their fair share for the cost of defence, while in January he dismissed the alliance as "obsolete." However, Trump last week reaffirmed the US' commitment to the military bloc. He has also committed himself to travel to Germany later this summer to attend the G-20 Summit which among others would be attended by Prime Minister Narendra Modi. Modi has been invited by Trump for a White House meeting this year. Modi has also extended Trump an invitation to visit India. Both have accepted the invitations and dates are being worked out. In case of no additional travel, the G-20 Summit could be the earliest opportunity for a Modi-Trump meeting. Trump's first visit to a NATO summit is considered as significant given that traditionally the new US President’s overseas travel has been to a neighbouring country. "In addition to the President's participation in the NATO Leaders Meeting, the President will also welcome Secretary General (Jens) Stoltenberg to the White House on April 12, 2017, where they will talk about how to strengthen the alliance to cope with challenges to national and international security," the White House Press Secretary Sean Spicer said. Meanwhile, Defense Secretary James Mattis met Stoltenberg at the Pentagon today wherein they discussed the fight against ISIS and the situation in Afghanistan among other things. "We all understand that in times of turmoil, in times of uncertainty, the need for strong international institutions like NATO is even greater so therefore we need to adapt, we need to strengthen NATO in response to the challenges and the unpredictability we see surrounding us today," Stoltenberg said in a joint media appearance with Mattis at the Pentagon. A strong NATO is good for Europe, he said. "We are also grateful for commitment of the US and the security guarantees to Europe. But strong NATO is also good for North America because stability in Europe is good for all of us. Two world wars and the Cold War have taught us all that the peace and stability is important for Europe of course but also North America," he said. Mattis said he looks forward to engaging with the coalition members who are here in Washington this week on the counter-ISIS fight. "I am confident that NATO will as always be one of the leaders as we deal with this threat," he said. World leaders have gathered in Washington to attend the US lead international meeting of anti-ISIS coalition.